Mobile Multi-View] を有効, Mobile Multi-View Direct を有効, Monoscopic Far Field を有効にすると, Galaxy S7 Edge だと止まる。Traslucency の描画あたり. Mobile Multi-View] を有効, Mobile Multi-View Direct を有効にすると, 画面が出ないことがある。メモリ不足? 01-01 23:43:57.850 12851 12957 D UE4 : [2019.01.01-14.43.57:862]LogRHI: WARNING: This GPU profile was captured with v-sync enabled. V-sync wait time may show up in any bucket, and as a result the data in this profile may be skewed. Please profile with v-sync disabled to obtain the most accurate data. 01-01 23:43:57.850 12851 12957 D UE4 : [2019.01.01-14.43.57:862]LogRHI: Warning: Profiled range "disjoinness" could not be determined due to lack of disjoint timer query functionality on this platform. Paste .snippet files into: C:\Users\$user$\Documents\Visual Studio 2013\Code Snippets\Visual C++\My Code Snippets. Then restart VS.
Just start typing ue4... snippet list should be loaded in a form of combo box. Then use arrows to select snippet. Hit ENTER or TAB to insert snippet. Type all snippet name and hit TAB. You don't have to wait for VS to show snippet list. To navigate between highlighted fields you can use TAB and SHIFT + TAB. After you enter all names, hit ENTER. *ue4classa* – Blueprintable class that derives from an AActor. Parameters are: comment, class name and base class name. *ue4classu* – Blueprintable class that derives from an UObject. Parameters are: comment, class name, base class name. *ue4struct* – Simple structure. Parameters are: comment and name. *ue4interface* – Simple ue4 interface. Parameters are: comment and name. UI category, virtual and const modifiers, function name and arguments. *ue4prop* – This read/write property is available everywhere (blueprint, instance and archetype details). Parameters are: comment, category, type and name. 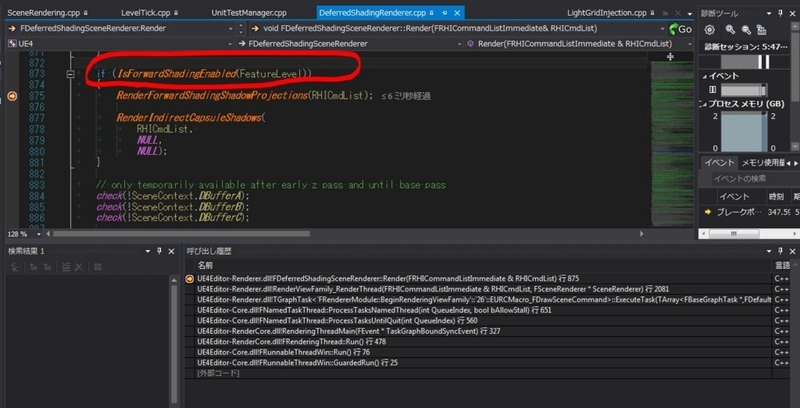 *ue4enum* – Simple enum. Parameters are: comment, enum name, first member name and it’s comment. *ue4enumdisplay* – Enum that can be used with blueprints. Parameters are: comment, enum name, first member name, it’s display name and comment. *ue4log* – Simplest log line. Parameters are category, verbosity and message. *ue4logdeclare* – Declaration of log category. Place this in main header of your project to allow logging. Parameters are: category, default verbosity and compile time verbosity. *ue4logdefine* – Definition of log category. Place this in main code file. Parameter is category name. *ue4logfloat* – Log line that can be used to print float value. Parameters are: category, verbosity and variable name. *ue4logint* – This log line can be used to log an integer value. Parameters are: category, verbosity and variable name. *ue4loguobj* – This log line is designed to log from inside of the objects. By default, square brackets contains a name of an object that writes the log. Parameters are: category, verbosity, message and name of a pointer to the object. Company symbol, task/ticket number, name and surname of a developer and short description of modification. *ue4eve* - 9 snippets for each params combination. Can be used to create event. Parameters are: owning type and event type name. *ue4del* - 9 snippets for each params combination. Can be used to create delegate. Parameters are: delegate type name and param type names. *ue4delmul* - 9 snippets for each params combination. Can be used to create multicast delegate. *ue4deldyn* - 9 snippets for each params combination. Can be used to create dynamic delegate. Parameters are: delegate type name, param type names and display values. *ue4deldynmul* - 9 snippets for each params combination. Can be used to create dynamic multicast delegate. Parameters are: delegate type name, param type names and display values`. "Unreal Engine 4 Custom Shaders Tutorial"
// Limit framerate on console if VSYNC is enabled to avoid jumps from 30 to 60 and back. What is the async scene? // Build a list of visible lights. // Inject non-shadowed, non-light function lights in to the volume. // Render light function to the attenuation buffer. // the separate translucency buffers through ePId_Input1. // TODO: Check if material actually uses this texture and only bind if needed. Node->SetInput(ePId_Input0, FRenderingCompositeOutputRef(Context.FinalOutput)); // Bilinear sampling. Node->SetInput(ePId_Input1, FRenderingCompositeOutputRef(Context.FinalOutput)); // Point sampling. The World is the top level object representing a map or a sandbox in which Actors and Components will exist and be rendered. that are loaded and unloaded via volumes and blueprint functions or it can be a collection of levels organized with a World Composition. The level being edited, each PIE instance, each editor tool which has an interactive rendered viewport, and many more. The level object. Contains the level's actor list, BSP information, and brush list. however, when a Level has been streamed in the OwningWorld represents the World that it is a part of. A Level is a collection of Actors (lights, volumes, mesh instances etc.). Multiple Levels can be loaded and unloaded into the World to create a streaming experience. generally to be rendered or used as collision data. while StaticMeshComponents and SkeletalMeshComponents contain pre-built geometry that is rendered, but can also be used for collision detection. A SceneComponent has a transform and supports attachment, but has no rendering or collision capabilities. Useful as a 'dummy' component in the hierarchy to offset others. Encapsulates the data which is mirrored to render a UPrimitiveComponent parallel to the game thread. This is intended to be subclassed to support different primitive types. The renderer's internal state for a single UPrimitiveComponent . This has a one to one mapping with FPrimitiveSceneProxy , which is in the engine module. The scene manager's persistent view state.